Many parents assume that all pediatricians have training in SPD, or have offices designed to accommodate children with these needs. That’s not always the case, so a little bit of research can be very valuable. Ask other parents or families at your child’s school, or contact local pediatricians’ offices with a handful of questions such as, “Do you offer an alternative setting or waiting room for children with sensory difficulties?” or “How comfortable is this doctor working with children with sensory issues?” By speaking with the office staff, or with the actual doctor, you should be able to glean a sense of how that provider can best accommodate your child. This isn’t always possible, but when appointments are scheduled in advance it’s a good idea to give your child some notice about where they’re going, what will happen, and why they will be there. Even providers who have a depth of knowledge and tactics for working with sensory processing disorders don’t know your child. Take the time to outline your child’s specific struggles or triggers, and then advocate for what you feel is the best way to examine or treat your child. 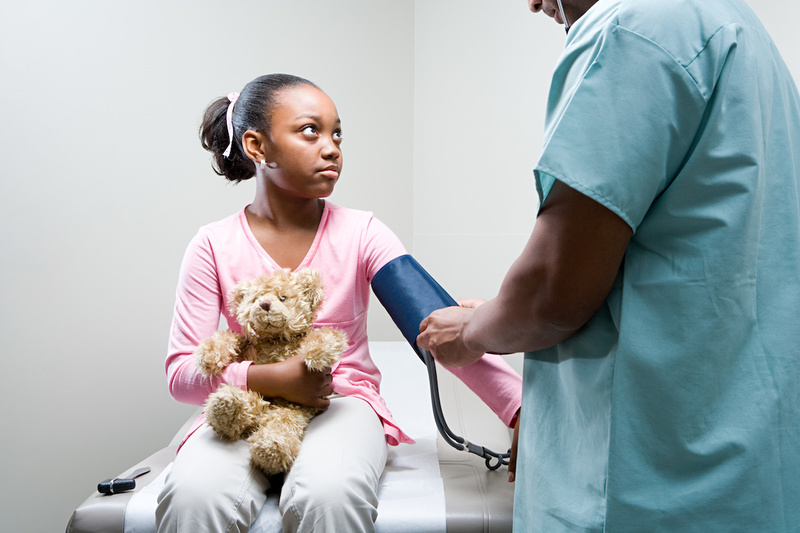 As your child becomes older, the goal is that they will begin to advocate for themselves, so allow your child the opportunity to tell the doctor what they like, and also what bothers them, as a way to begin this process. Breathing techniques, slime, stress balls, or kinesthetic activities are all great ways for your child to relieve some of their anxiety at the doctor’s office. When it comes time for things like shots or vaccinations, your child understands that this will cause pain. Acknowledge your child’s fear, and then allow them to pick a tool or technique from their de-stressing toolkit to utilize for the situation. It’s also fine to pick the technique for your child and model the behavior while reassuring them that you are hearing and understanding their fear. If your child exhibits signs of sensory sensitivities or has been diagnosed with sensory processing disorder, we can help! Brain Balance has worked with over 25,000 children and their families. Contact us to learn more about our non-medical, drug-free, whole child approach to get your child on track.